Dental hygiene isn’t a topic of beauty that I often talk about on the blog, however dental hygiene is a topic and product that comes into everyones daily life and routine. Recently i’ve been trialling a new dental range from WhiteWash Labs, of which if you’ve read a few of my recent posts you’ll have seen me featuring their products here, and there but I thought it was about time I gave their range a full review! Dental hygiene for me has become more important as i’ve gotten older and although i’ve always taken care of my teeth, I think you just take more pride in their appearance as you get older. 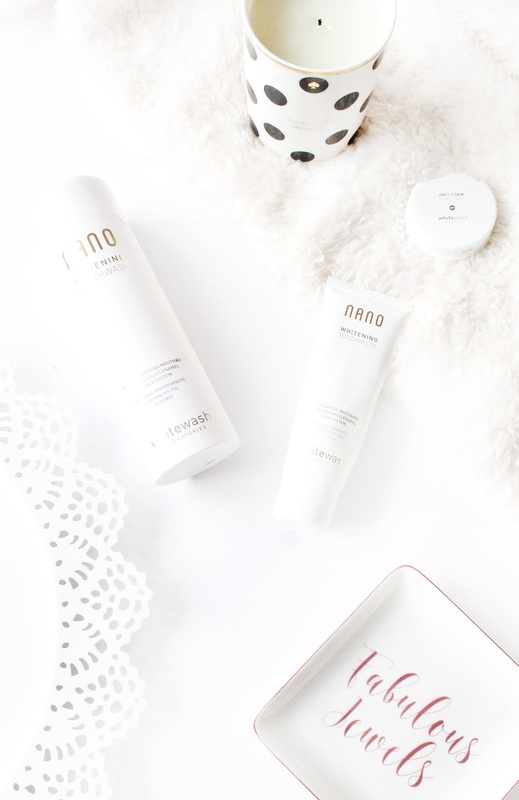 Essentially I always opt to use a toothpaste targeted towards a whiter smile as a lot say but i’ve never specifically used a whitening range of products, so after trying out the Whitewash Nano Range for well over two months now I finally feel ready to give them a proper review! Whitewash Labs are from what I know are relatively new on the scene, being a brand I hadn’t heard of before so when they contacted me to to try out their Nano Whitening Kit* (£39.80) I was really intrigued to see how their products compared to those i’ve used previously. Their Nano range has been designed by UK dentists and uses specially selected ingredients including their enamel care technology© as a key ingredient, which helps to whiten, remineralise the teeth and prevents sensitivity. I’ve been using the range for a good two months now, and I wanted to get to the end of the products before giving them a full review to see how well they truly worked, and also how long they last! Within the range you get the Nano Whitening Toothpaste (£14.95) which contains a mixture of special micro polishers to remove surface stains, whilst the enamel care gets to work to repair the teeth and reduce sensitivity. My teeth naturally aren’t that stained as I don’t smoke, nor do I drink any coffee but i’ve definitely noticed how much whiter, and shiny my teeth are. The toothpaste tastes so good, very minty and fresh, which I didn’t expect as most whitening toothpastes i’ve tried taste absolutely vile, which I think can definitely put people off purchasing products. In conjunction with the toothpaste you also get the Nano Whitening Toothbrush (£4.95) which contains bristles specifically designed to whiten the teeth and stop any staining. Now for me I personally prefer to use my trusty electronic toothbrush as I found this brush to be too harsh on my gums, but when it comes to tooth brushes it’s definitely personal preference as to what works for you! In conjunction with the toothpaste, you also get the Nano Whitening Mouthwash (£14.95) which I find is best when used just after brushing your teeth otherwise you don’t really get the full effects of what this product does. Essentially this mouthwash contains the same enamel technology to further care for your teeth, but to also repair and give your teeth that white shine. Also within the kit is the Nano Anti Stain Floss (£4.95), and floss is a product that I typically don’t use purely because I just cannot be bothered but i’ve been using this in conjunction with the other products, and i’ve really noticed a difference of how my teeth look, as the floss works to get in between the teeth, where a tooth brush often misses! All in all i’ve absolutely loved trying out this range and i’m sad that i’ve almost used up all of the products! 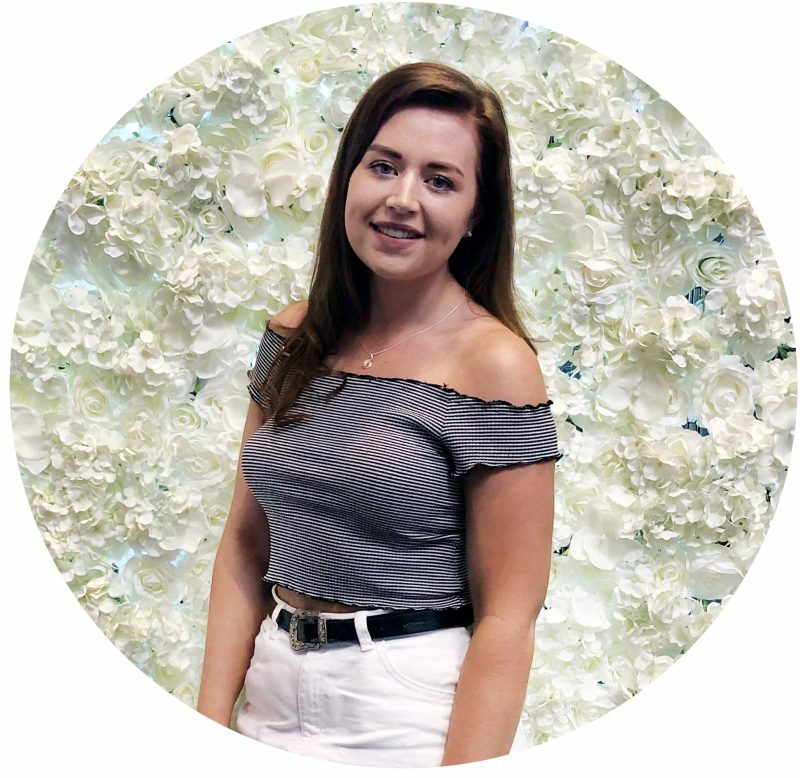 Not only do my teeth look so much whiter but they also feel so much cleaner after using these products, as they leave your mouth feeling fresh and minty, and i’ve noticed that I haven’t got as much build up of plaque. In terms of sensitivity I can’t really comment, as I don’t typically suffer with it but I definitely notice that my teeth feel so much healthier. I’d definitely recommend trying out this range if you’re wanting to try a new whitening range that not only works but is packaged in the most beautiful packaging whilst also being a fairly affordable! If you do decide to purchase, make sure to use my exclusive 10% discount code ‘STYLE10’ at the checkout! Have you tried any products from Whitewash?